During a magnetic archaeological survey under the Nile, 25km south of Rashid (Rosetta), a complete Roman city has been located. The survey revealed that the city includes several structures including a huge rectangular building which archaeologists suggest could have been used for administrative or religious activities. Part of the city is dated to the Hellenistic period and others to the late Hellenistic period and the beginning of the Roman era. “It is a very important discovery that explores daily life in the Nile Delta during the Roman period,” said Antiquities Minister Mamdouh El-Damaty. He explained that it also reveals the architecture style of buildings and the mechanisms of urban planning in the Hellenistic era. The international team includes archaeologists and scientists from the United States, Italy and other European countries. Mohamed Qenawi, the head of the Egyptian research team, explained that early studies show that the discovered city was constructed during the Late Pharaonic period and lasted into the Roman era. 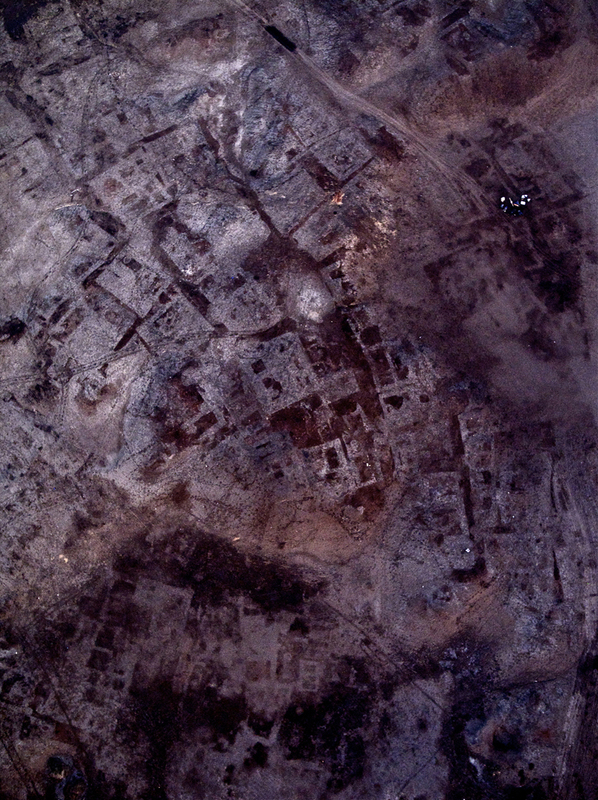 He asserted that further studies would reveal more details of this buried city.